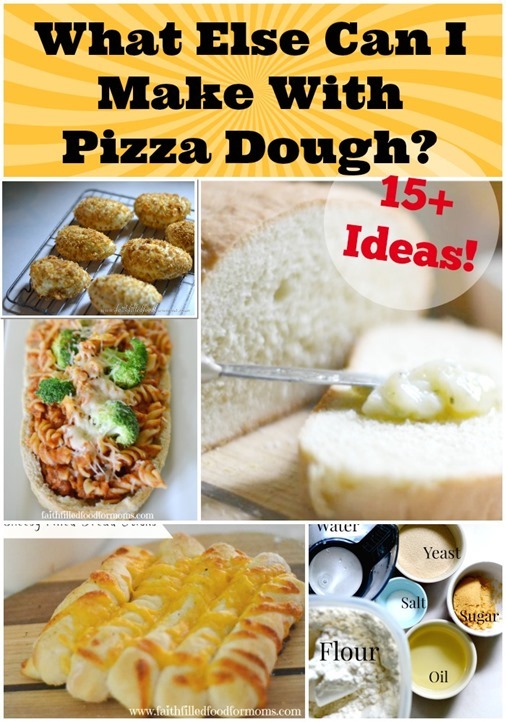 You all know I’m about making all different kinds of pizza recipes for my fam because it is so cost effective, but making the same thing over and over can get boring even to the biggest pizza lovers! So I stepped up my game and created this Homemade Double Decker Taco Pizza Recipe. You know like the ones you see from the pizza parlors! 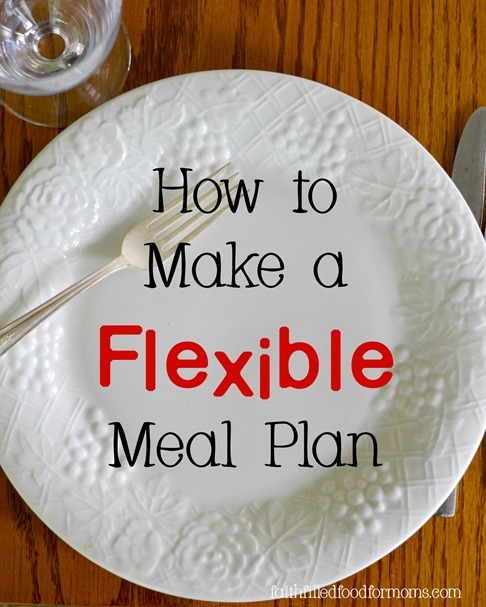 This was sooo easy to make…don’t let the fancy look fool you. 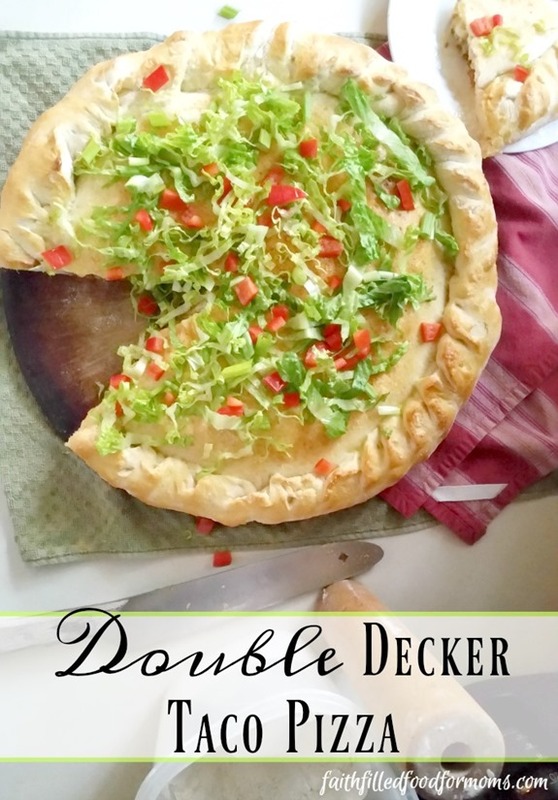 Your family will love this twist on pizza if they love tacos AND pizza..
7 Need help with Meal Planning? 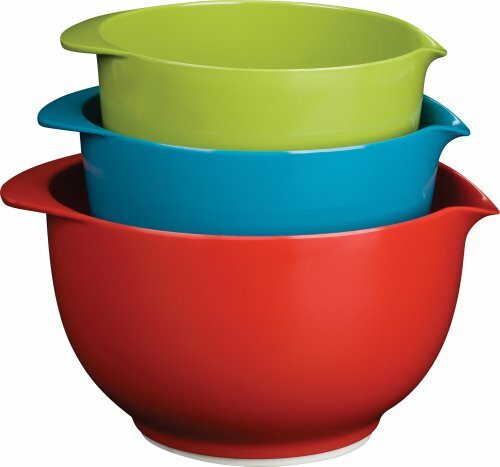 Mixing bowl ~ I LOVE my rubber bottom mixing bowls for just about everything. I even use them for making bread dough. 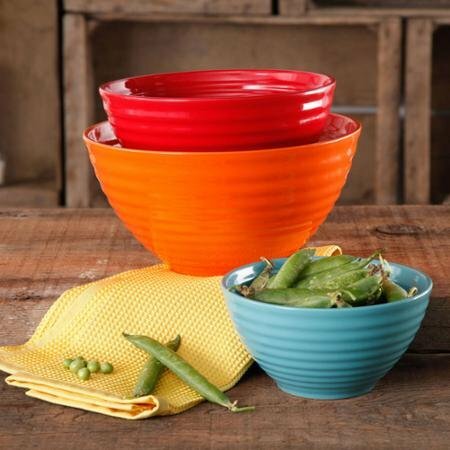 However if you LOVE your glass bowls that is perfectly ok because making pizza dough really works in anything! Pizza Stone ~ If you want to cook your pizzas to perfection a pizza stone is what you need. I have never burnt a pizza on a pizza stone…maybe the top…but never the bottom! With aluminum pizza pans things can burn so easily. It’s worth the one time investment in a great pizza stone. Also as the stone get’s seasoned (that means after years of cooking on it) There is almost NO clean up. Nope not kidding. Nothing sticks to it anymore…simply rinse with super hot water. 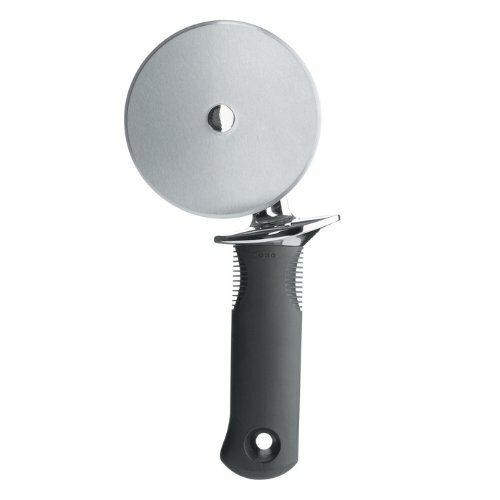 Pizza Cutter ~ Well this goes without saying….I use my pizza cutter for just about everything…not kidding. I even cut sandwiches, french toast, just about anything with my pizza cutter! 5 Cups flour ( you can use any kind of flour) If you use wheat..be sure and mix only 1/2 wheat with 1/2 white or it will be too dry. Then Knead for 5 min. Sprinkle your pizza stone with cornmeal if you have it ~ a simple trick that even pizza parlors do to keep pizza from sticking to pizza stone. 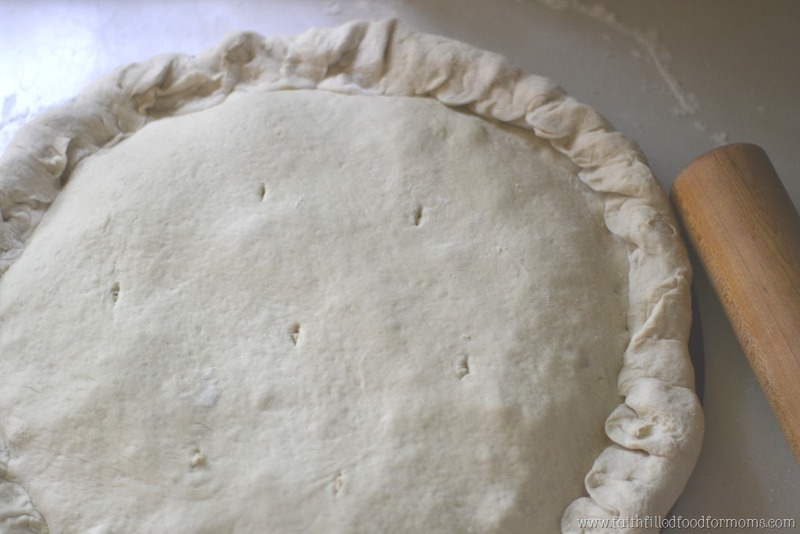 Cut dough in half and roll out first dough. 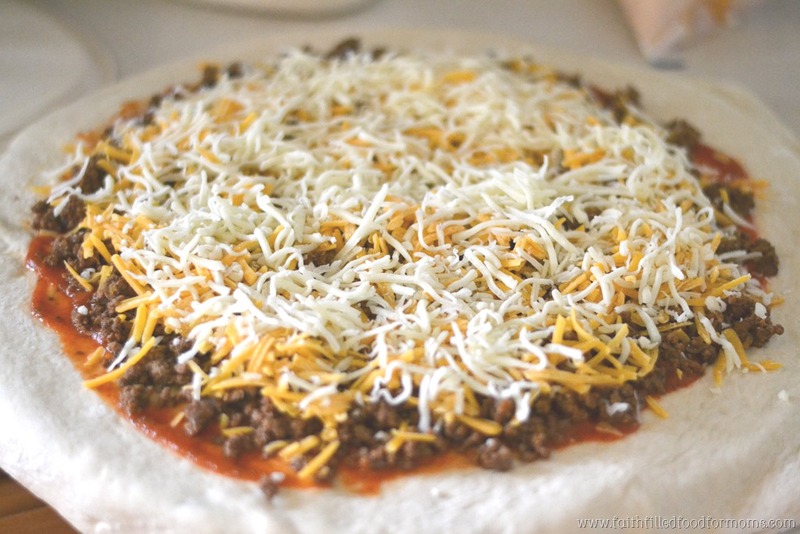 Roll it so that it over hangs the size of your pizza stone by about 1 – 2 inches and top with spaghetti sauce, taco meat and cheese. As much or little as you like. Now simply fold both top and bottom edges up and roll them together. Sort of pinching as you go. Notice that my edges are NOT PERFECT. 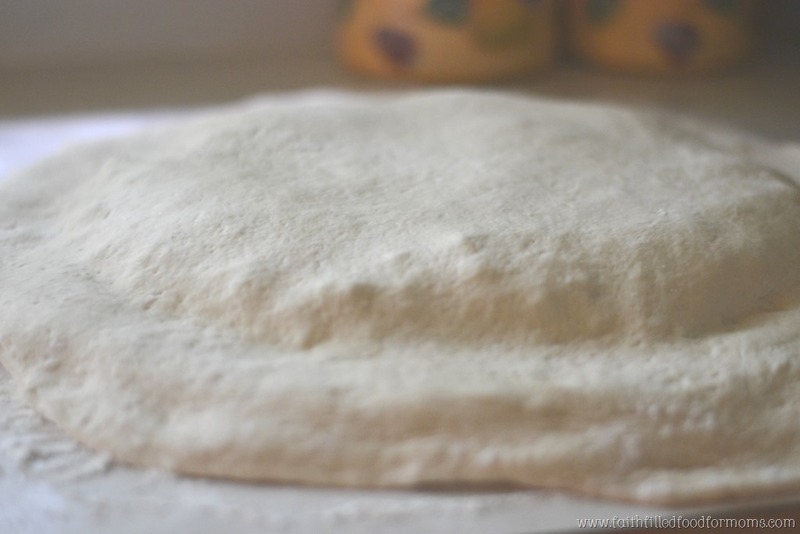 All the imperfections sort of disappear as the pizza cooks and the dough rises a little in the oven. 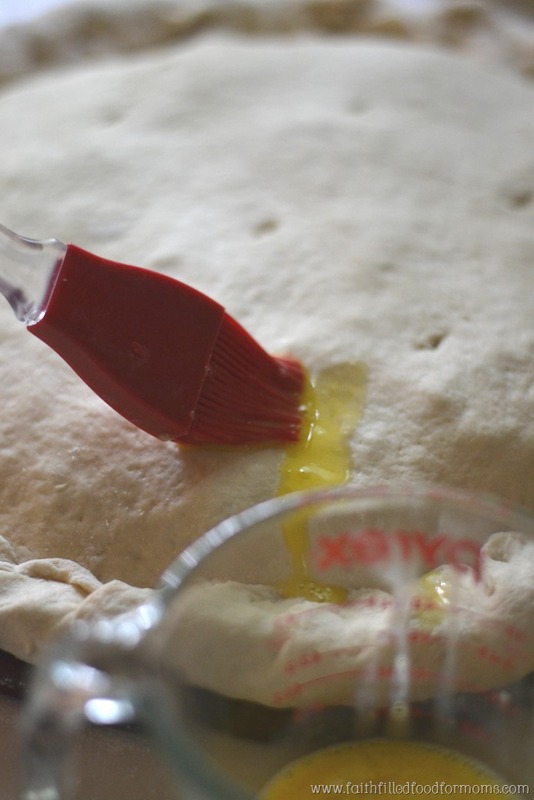 If you want a super beautiful golden brown crust, brush a raw stirred egg on with a pastry brush. This is not a necessary step…but it’s oh so pretty. Oh and it adds absolutely no flavor. Place in the oven for 20 min at 425 degrees. We add all of the additional goodies/veggies on top. 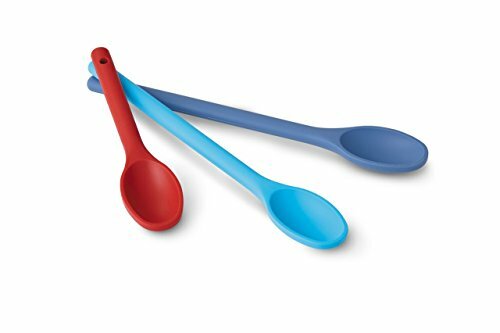 That way our picky eaters can brush off the and don’t have to have it. That’s it! This was a super big hit and very filling. I’m dreaming of all of the other fillings I can put into the next one! Linking up to these partays! OOOO – I love this idea. 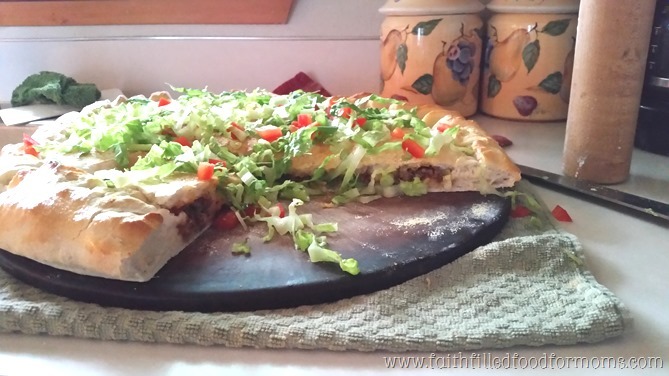 I always want taco pizza on a buffet…how awesome to be able to make this delicious dish at home. Thanks a million for sharing with us at Weekend Potluck. Oooh and it’s so easy too! I love re creating foods that we eat at restaurants or see in the frozen food section. Enjoy and thank you soo much for stopping by! My boys would love this. Thanks for sharing this recipe on Let’s Get Real Link Up. It’s deeelish and waay easier than it looks. My kids loved it too! Enjoy! Now THAT is a pizza! Wow! Love the idea of putting fresh, extra toppings on top instead of inside! Hi Casey! Yes sooo much fresher on the outside AND for those that are veggies haters! LOL Now to create a GF pizza, as my grandsons have been diagnosed Gluten intolerant! Thanks for stopping by!